Report reveals breast cancer patients were routinely given smaller doses than recommended. Breast cancer patients in Tayside have been given a lower dose of drugs than those in the rest of the country, it has emerged. A report from Healthcare Improvement Scotland (HIS) found the oncology consultant covering the region used smaller doses of chemotherapy drugs without informing patients of the decision. Chief medical officer Dr Catherine Calderwood and Chief Pharmaceutical Officer Dr Rose Marie Parr ordered HIS to investigate after concerns were raised about variations in treatment compared with other health boards in Scotland. The report also warned of a possible "dysfunctional team environment" in NHS Tayside, with debate on the issue said to be "stifled". "It appears that NHS Tayside patients are not informed of the difference in practice in relation to other NHS boards within the region and other parts of Scotland," the HIS report said. 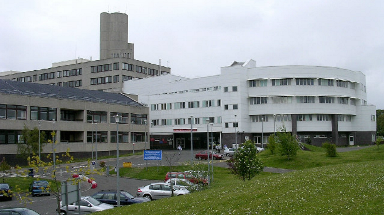 Doctors there had argued their practice was "in the best interests of patients in NHS Tayside" - saying that when higher doses of the drugs had been used in 2014-15, 51 of 98 patients had needed to have their dosage reduced. NHS Tayside has now confirmed it will be "adjusting its breast cancer chemotherapy dose regime to make sure patients throughout Scotland are offered the same". The health board has also written to all patients who received chemotherapy treatment from breast cancer after December 1 2016, offering them an appointment with an oncologist for further discussion. Acting medical director Peter Stonebridge said: "We understand that the HIS report published today may cause patients some concern - and even distress - and we are very sorry for that. In a joint statement, Dr Calderwood and Dr Parr said: "It is important to stress that the risk of a negative impact on the health of anyone treated for breast cancer in NHS Tayside since 2016 is very small. "However, patient safety is our number one priority and we therefore take the findings and recommendations of this report seriously."